eCommerce is fast taking over Nigeria market. We now buy online these days with ease. 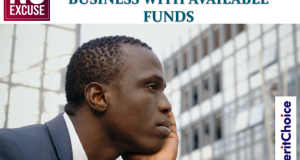 I personally couldn’t believe that we would be at this era where it is no problem for several people to have enough trust in their fellow Naija brothers and sisters to send money online for product or service. It is happening now and it is for real. If you have ever tried to sell online before, you will be amazed at the speed at which your products will be mobbed up by the hungry customers who are panting to grab your products. I have seen people come online with excitement of making money online, after hearing someone’s testimonial of making good sales online. They happily placed their products online and couldn’t wait to make their first sale. But, somehow, the sale never comes. Someone told me about how he spent money on online advertisement but couldn’t still make any sale. That’s pathetic. What really happen? I realised that he didn’t have the idea of how to setup an ecommerce store in such a way that it will get him a good result. Not that alone, he doesn’t have the necessary tools that are necessary for promotion. At the end of the day, all the effort he made was like zero. Don’t let that happen to you. That is why you need to act fast now by getting the online version or attend our live training on Mini-Importation which comes with another great training on Real Estate. 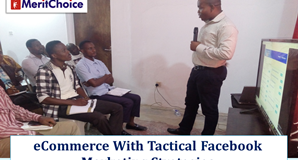 In the training, we are able to give you the strategy of setting up your own ecommerce business and the tools you will need for it. But that is not all, when you subscribe to our training package, you become a member and you will keep getting updates, tools and ideas to run your own ecommerce business. Our main aim is to ensure that every member becomes a big ecommerce player in the next few years. So, here is your best opportunity to start with us as this will be your most rewarding online business. Click here to register now, if you have not done that. Don’t forget that the last time you could pay as low as N3,550.00 for the two training on Mini-Importation and Real Estate is this Friday, 22nd December, 2017. 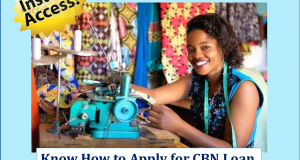 After the date, the training price jumps up to N7,050.00. Don’t miss this opportunity to save on this liftetime membership training. Make sure you register today. It’s being a great year, even if you have not achieved all your goals, one thing is certain, if you are reading this, it means, you are alive. You need to be grateful to God and also appreciate people around you. How best do you show appreciation to those numerous people in your life? Your friends, family members, business associates, club members, religion members, colleagues, loved ones etc. The best way is to send them SMS to tell them that you appreciate them all. To do that, you can send SMS using ClicknReach.com at http://clicknreach.com. That’s our reliable SMS platform. Make sure you fund your account to fecilitate with others at Xmas and Boxing Day. You may as well use MeritChoiceSystem.com at http://meritchoicesystem.com. You have double benefits on the platform as you can send both SMS and Email. Show to people that you appreciate them. If you are SMS reseller, don’t forget, it is a season to do some business, get your package funded. One-On-One Training on Website and Blog Design – Wednesday, 27th December, 2017. Click the link here to register for it. Free Internet Marketing Seminar – Thursday, 11th January, 2018. Click the link now to register. How To Create Your Product and Marketing Video Without Hiring A Professsional – Saturday, 13th January, 2018.